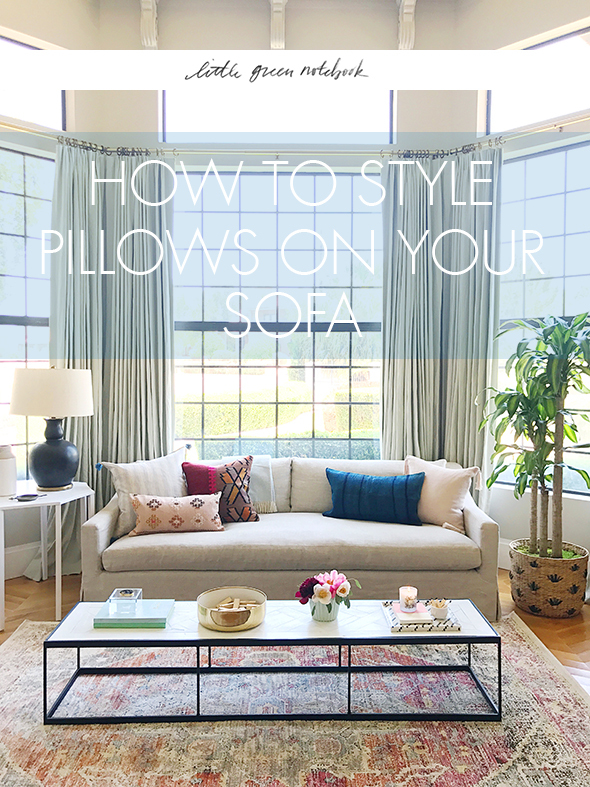 You guys are always asking for tips on how to style pillows on a sofa! 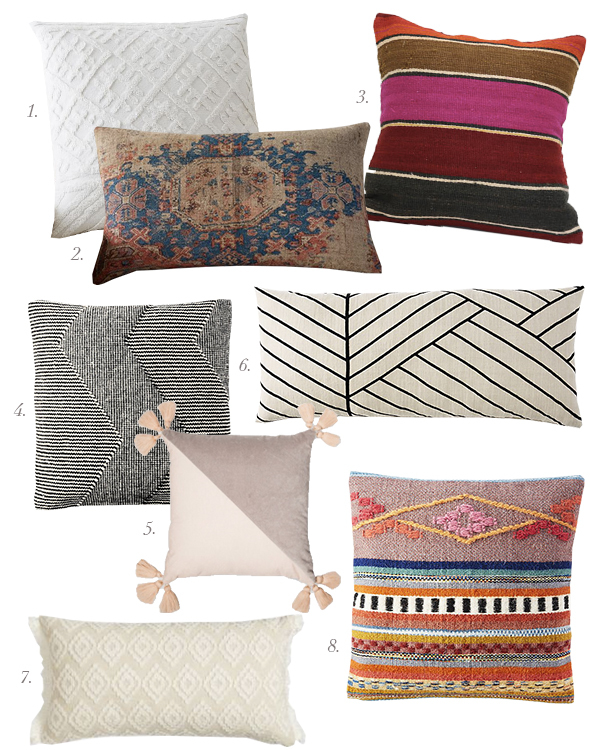 While there aren’t any set rules when it comes to pillow styling (and there’s a good case to be made for mixing things up regularly! ), I have noticed a couple of rules I sort of fall back on. I usually start by pulling my color palette from something else in the room. In this case, I used the rug to help guide which colors I would use for my pillows. Don’t be too literal here! The colors don’t have to be, and really shouldn’t be, exact. They should just sort of help the eye to move around and connect with other elements of the space. 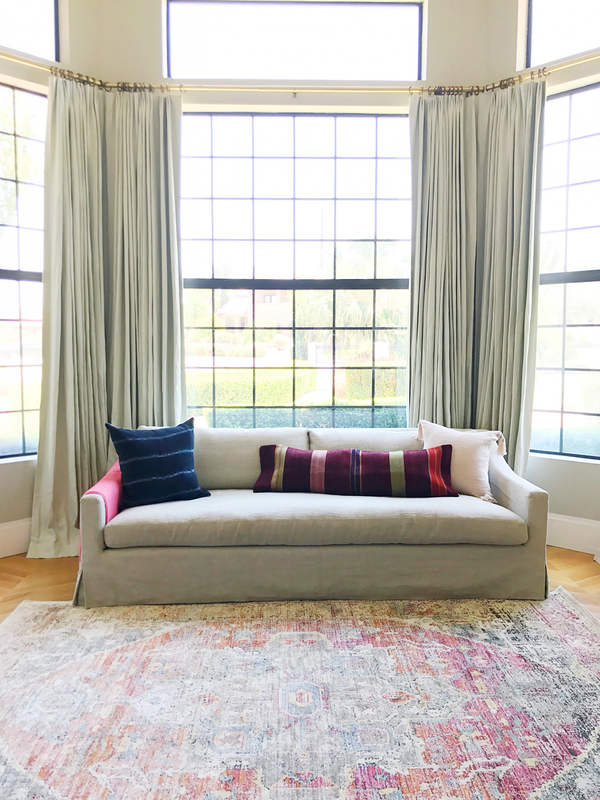 For a larger sofa, I try to start with one or two basically solid pillows, one with a subtle pattern or texture in a smaller scale, and one or two with a bold color and pattern in a larger scale. I also think it’s a good idea to group pillows in odd numbers. Two on each side or one on each side feels off to my eye. Some of you followed along on my stories when we were styling this room. Here’s the progression of pillow styling! I started with two large pillows on either end of the sofa as my base. These should be 22″ or 24″ square. 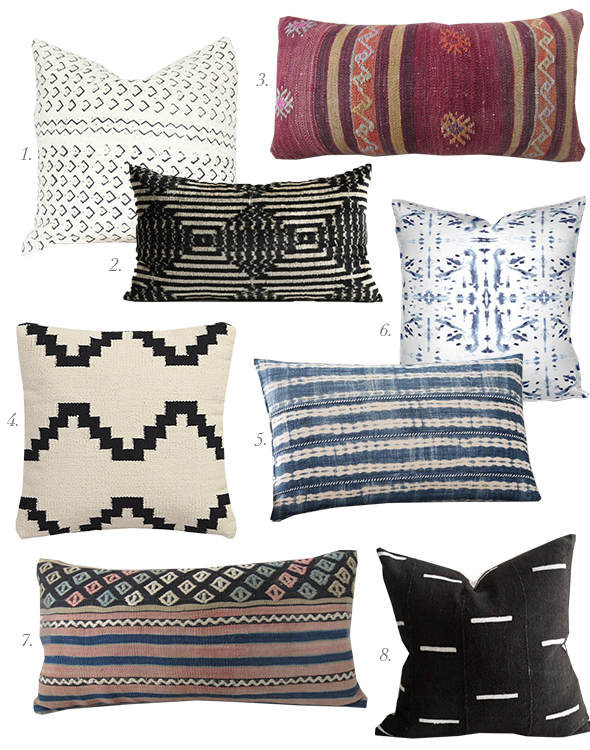 I usually save 26″ pillows (which is the size of a Euro sham) for bed styling. Though if you have a REALLY big, deep sofa you can use this size without it looking weird. You will want to put your darkest color or solid pieces in the corners. This will help anchor the other pillows. Once you’ve got your base, you will want to layer in two more smaller pillows on top. These should be around 20×20. They don’t need to be the exact same size or shape as each other. The more color and texture, the better! Lastly, you will want to add in a lumbar pillow to mix up the shapes. 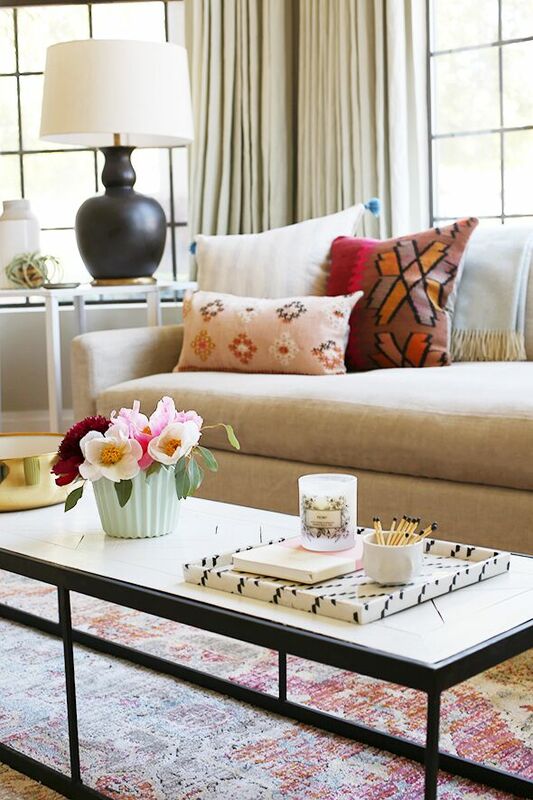 This is a really great place to add in a pop of color or a crazy pattern. Here’s what we landed on and I love the mix! 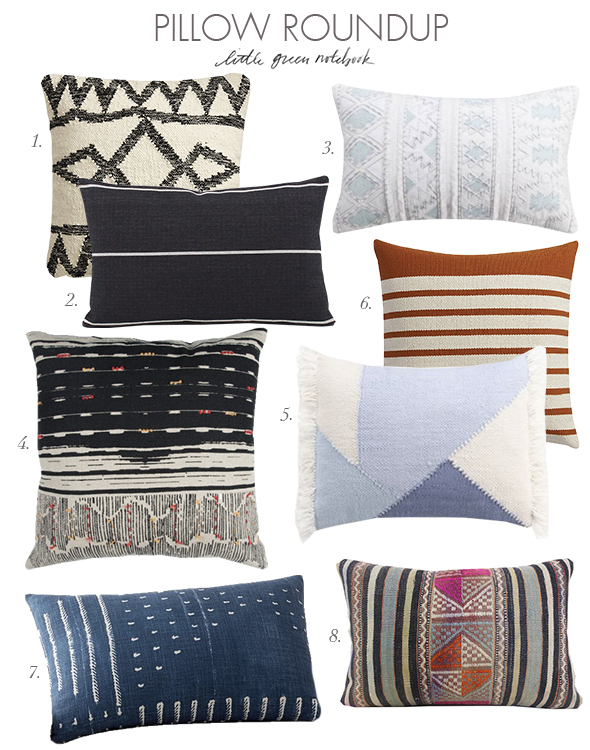 What are your best pillow styling tips? I would also add that I almost ALWAYS go up a size on my down inserts so they are extra, extra fluffy! These down inserts are my go-to because they are very affordable and twice as full as the IKEA ones! Your sofa doesn’t look like the Wayfair one you linked to. 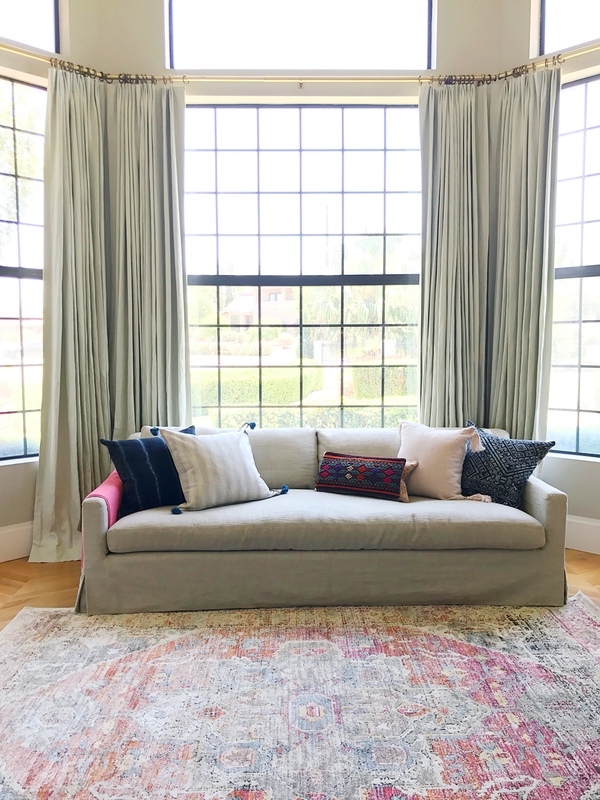 Is yours a RH sofa or perhaps a different one sold on wayfair? Thanks! 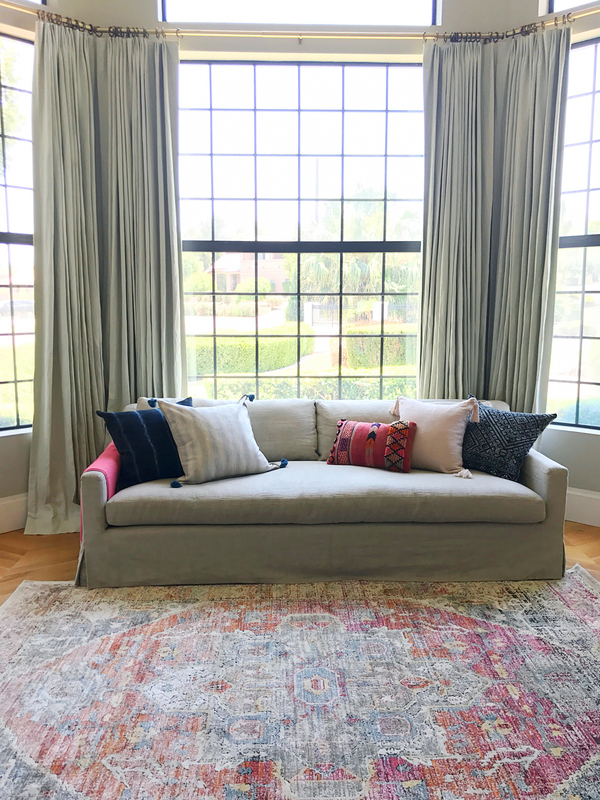 The sofa shown here is from Restoration Hardware, but my girlfriend has the Wayfair one and she LOVES it! Looks a lot like the RH one for a lot less money! Whoever is asking how to arrange pillows obviously doesn’t have children who rearrange them every 30.5 seconds! LOL. My 11yo is the worst because she “only likes this kind” close to her! Also my dog. He hates the pillows apparently and is constantly kicking them on to the floor. Hi Jenny! We have an L-shaped sofa. Same idea? So three different pillow areas? Jenny! I can’t tell you how relevant and great your posts are. I mean, you truly are making the world a better place. I have design questions that keep me up at night so I’m super excited about this new idea of you answering our questions. Would you mind sharing what size of pillow cover you would use for the 23 inch pillow insert you’ve linked to? 22inch? And do you prefer one over the other, feather or down alternative? I size up with my inserts. So for a 22″ cover I would get a 24″ down insert. I prefer feather to down alternative. Those C&B ones I linked to really are the best and are surprisingly affordable for the quality! 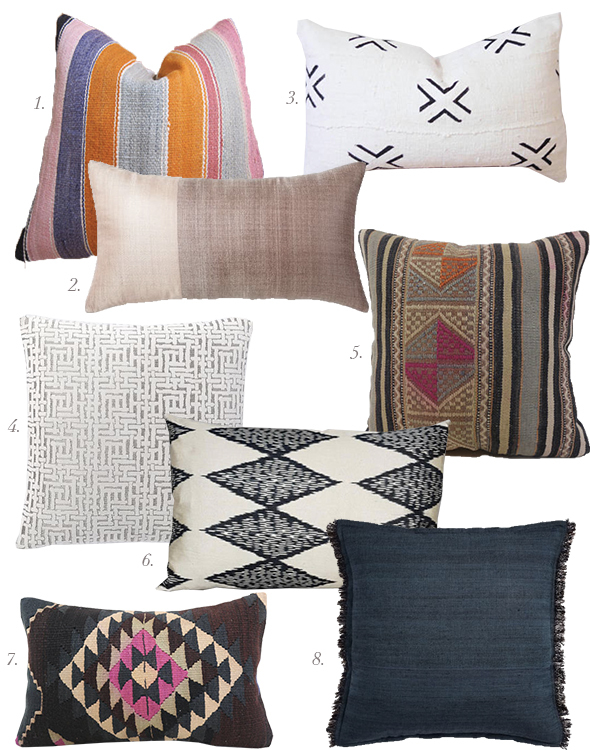 Great pillow selection, currently have plain inserts on my sofa because I did not know where to begin, just know I wanted a mix of colors and textures. Also one thing I always do is put a thin fiberfill pillow insert behind my down inserto, this prevents the pillow from collapsing when you use it but still gives the fluffy feeling of down. It fills out the pillowcover and decreases how much pillow fluffing I have to do. I do have to make sure the down inserts is facing out and the fiberfill is facing in. Your space is so gorgeous and I love the pillow options you linked! Also, I am dying to know where you found the curtain rod? We have an entire back wall of seven 3×9′ windows and I need a huge curtain rod for a semi bay window. So great! And so timely… just yesterday I spent at least an hour trying to arrange pillows on a sofa in my office. I finally looked through the Pottery Barn ecatalog and found a grouping I liked and then tried to replicate it with pillows I found around the house. Bingo! It turned out to be my favorite after years of wrestling with symmetry, etc. Unfortunately success in one room creates failure in another. My living room is looking bare today! Jenny, would you also use the same idea for styling pillows on a King Bed? Bigger solid colors in back and then an odd number of mixed fabrics/sizes in front? I am having the hardest time with my bed styling. Thank you!! Stay tuned Michelle! We are planning a bed styling post! I bought some of the 24 in pillow inserts from your PSA (the gorgeous Pottery Barn ones that were on super sale!) Trouble is – I don’t have inserts and I see that they don’t make 24 or 25in inserts from CB2 that you linked to. Any ideas? Thanks! getting the perfect clour and design according to our rugs and sofa is difficult. You have to keep many thing in mind as choosing the particular shape, then clour and even the quality of the materiasl also matters lot. Welcome, Very not impossibly maddening, this is particularly fundamental to take a gander at material and blog a zone. I get prominent confirmation amazing data worried with page. So I am to an amazing level basic. I like it. appreciative to you for looking page diffuse us. 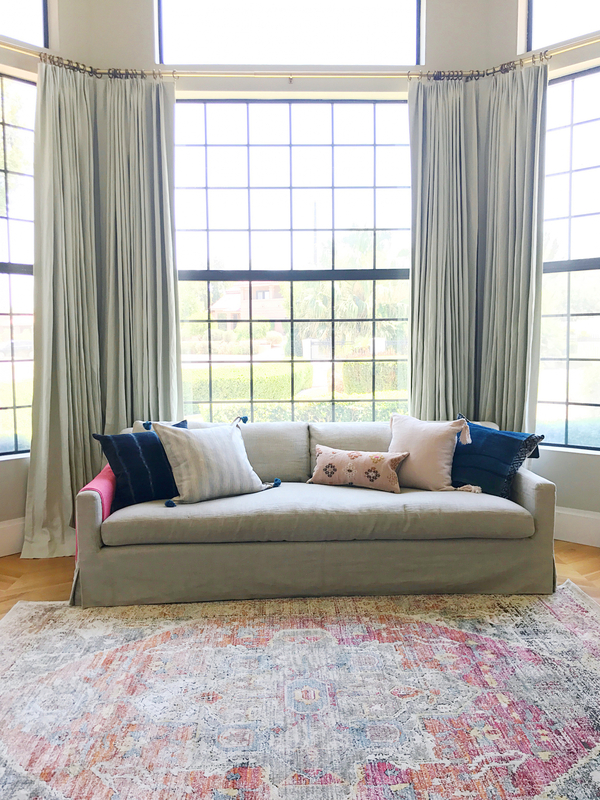 Pingback: How to Style Pillows on Your Sofa! This post allows me for an material which I am composing. Much thanks to you for providing me another viewpoint on this aspect. Currently I can certainly finish my material. Perfect aspects to look at and I am fairly surprised to have this kind material that stones !. This is the best material. Wow that’s looking really very gorgeous.